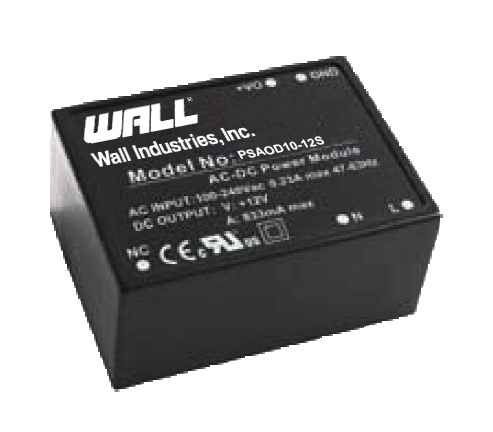 The PSAOD10 series of AC/DC ITE/Household power modules offers up to 10 watts of output power in small 1.46” x 1.08” x 0.79” PCB mountable package. This series consists of single output models with a universal input voltage range of 90~264VAC or 120~370VDC. Each model in this series features low ripple & noise, a fully encapsulated plastic case, high efficiency, as well as short circuit, over voltage, and over power protection. 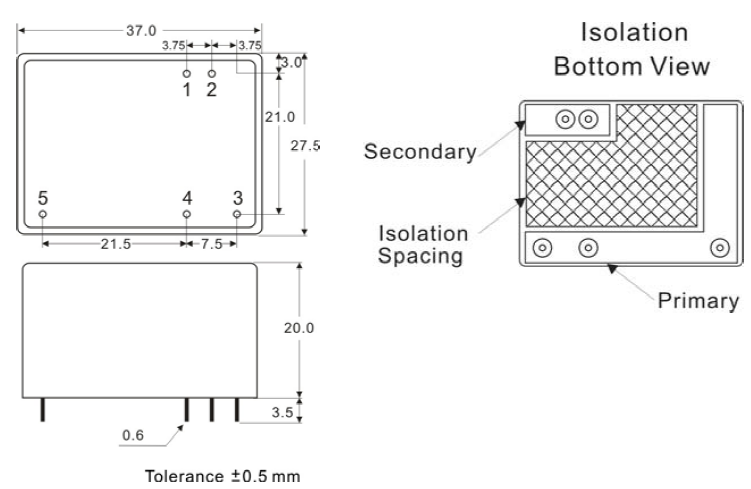 This series is isolation class II and has CE, CB, and UL safety approvals. Please contact factory for order information. 3. It’s necessary Varistor 14S471K at L/N input side in parallel. 4. It’s necessary Fuse 250V/2A at L input side in series connection. 5. It’s recommended 10R/8φ thermistor at L input side in series connection. 6. A fuse 250V/2A is directly connected to the input and this fuse is 3.2mm min. away from each polarlity.